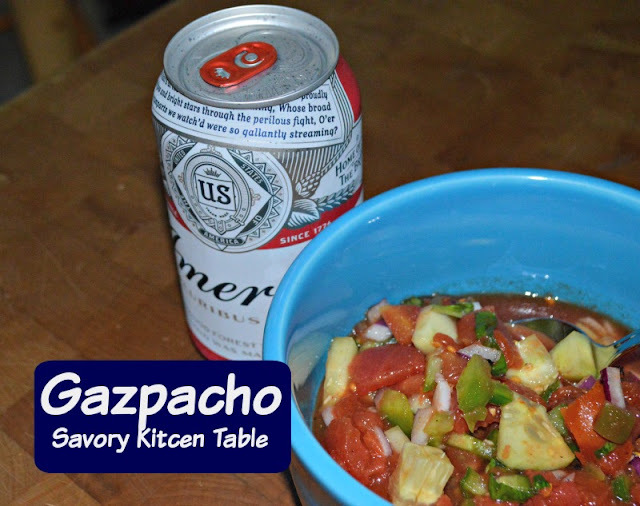 Hubby loves Gazpacho, a spicy tomato based soup made of raw vegetables and served cold. There are many variations to this soup, but mainly it has a tomato base and is very forgiving for ingredient adjustments. Here is hubby's favorite version. Mix all together in a large container. Enjoy - it's as simple as that.